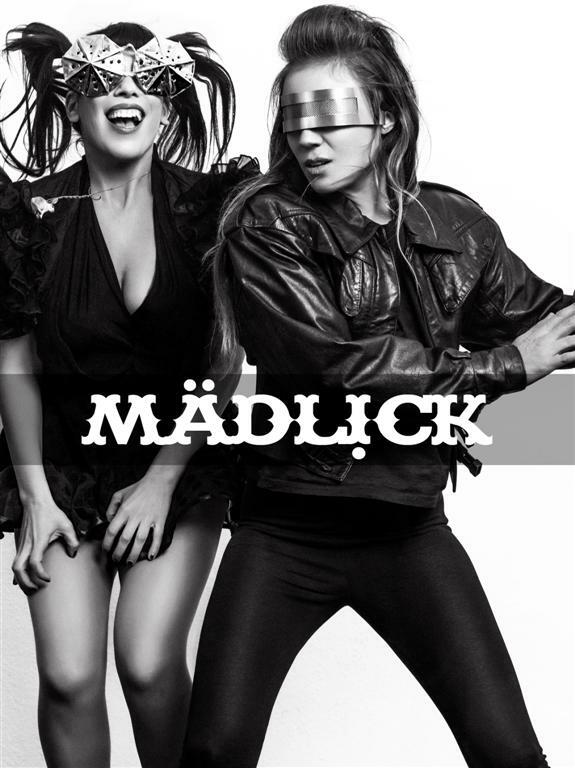 MADLICK is an electronic Techno Rap duo from Berlin. The group started in 2013, when they were invited to open Yoko Ono’s concert at the Volksbühne in Berlin. Without an official release, MADLICK performed in events such as: Fusion Festival, Sziget Festival, Dommune Tokyo, CMW Toronto and more. They toured with Peaches as support act in the UK and Germany. MADLICK composed complete soundtracks for 2 feature films which premiered at Berlinale 2017. * Feb 2017 – Scored 2 feature films who premiered at Berlinale Film Festival 2017. * Aug 2016 – Sziget Festival Budapest. * Dec 2015 – Toured with Peaches in the UK and Germany. * Nov 2015 – TUNE IN Tel Aviv Festival. * Jan 2015 – Live show and Interview at Dommune Tokyo. * Jun 2014 – Live show at Fusion Festival. * Feb 2014 – Composed music for Teddy award winner “Pierrot Lunaire” by Bruce LaBruce. * Aug 2013 – German FAZ listed a MADLICK song as a top ten summer hit. * May 2013 – collaborated with singer Peaches & recorded her in our studio. * Feb 2013 – MADLICK opened Yoko Ono’s concert at the Volksbühne.